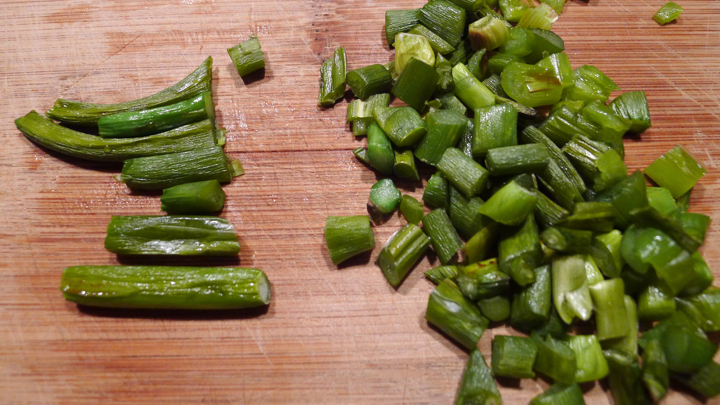 I had never eaten garlic scapes before (that I know of anyway) and I am totally in love with them now! 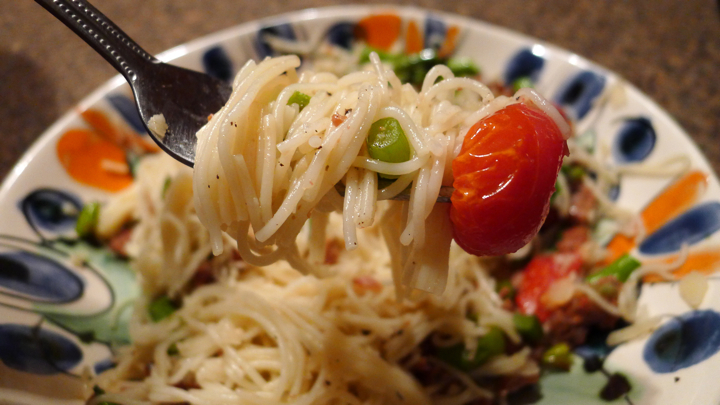 I got them in my CSA and decided to try a simple pasta dish with them, which came out great. 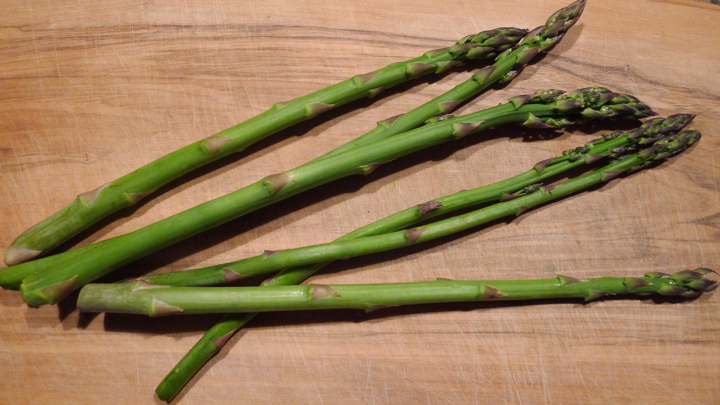 They have the texture of asparagus kind of, but with a light garlicky taste to them. 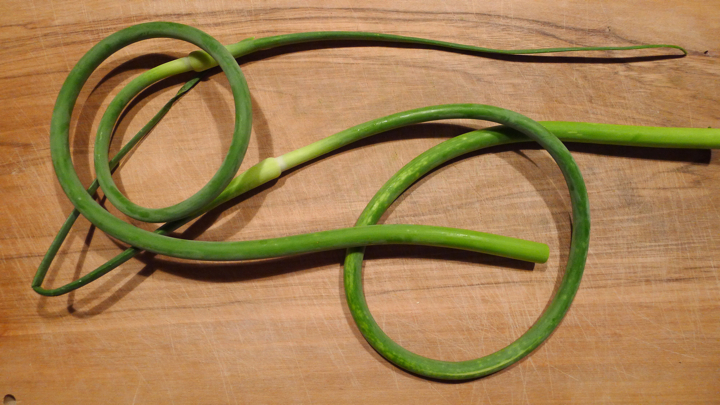 If you haven’t tried garlic scapes yet, I suggest doing it! 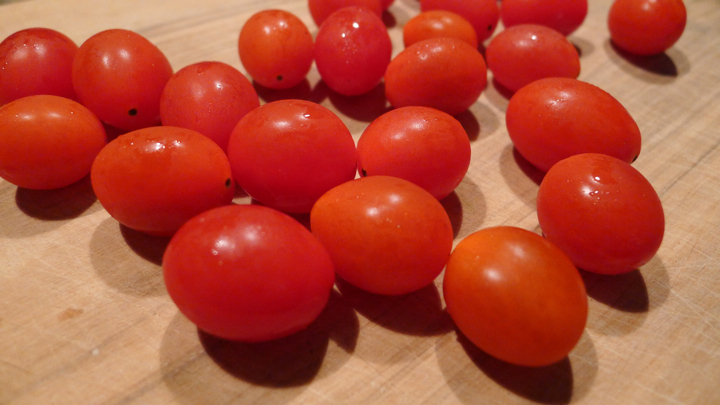 Their season is short though, so get them while you can! Heat oven to 350 degrees. 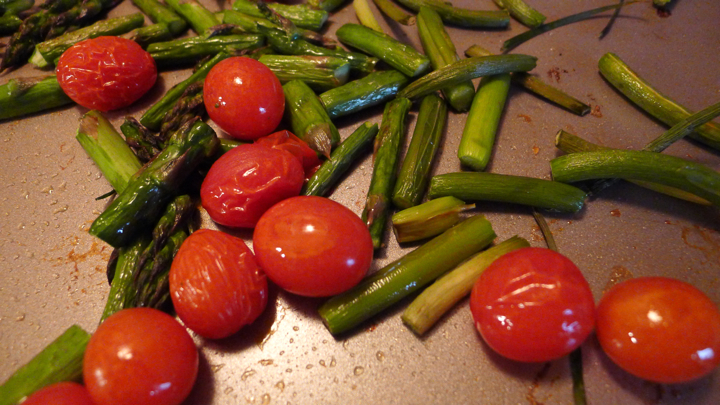 Chop the garlic scapes, asparagus, and tomatoes. 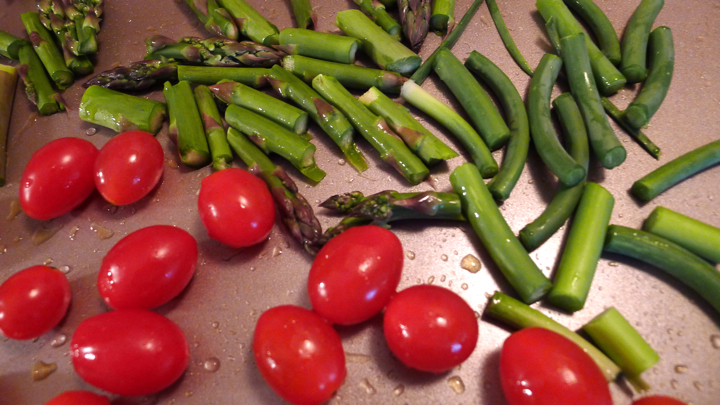 Toss in olive oil then roast together in the oven for about 20 minutes, or until the asparagus is fork tender and the tomato skin is starting to pop. 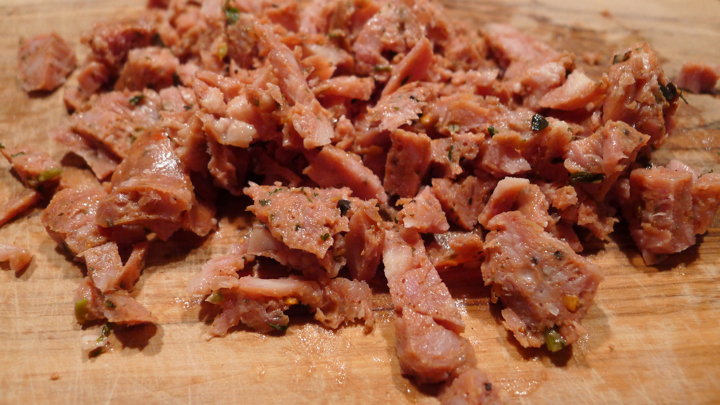 While that cooks, remove the casing from the sausage and cook in a pan until browned, also cool your pasta. 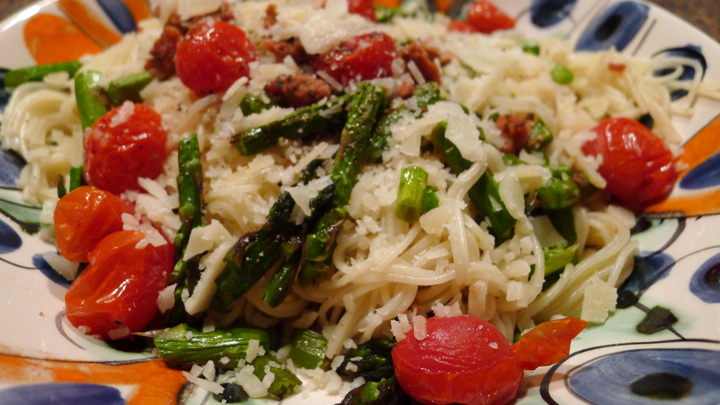 When the vegetables are done roasting, chop the garlic scapes then toss everything together with the pasta. 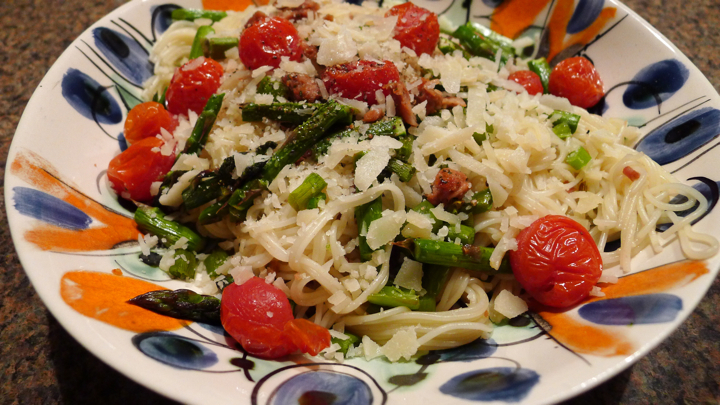 Add some good olive oil, Parmesan cheese, and salt and pepper to taste.